This masterful comparative history traces the West's revolutionary tradition and its culmination in the Communist revolutions of the twentieth century. Unique in breadth and scope, History's Locomotives offers a new interpretation of the origins and history of socialism as well as the meanings of the Russian Revolution, the rise of the Soviet regime, and the ultimate collapse of the Soviet Union. 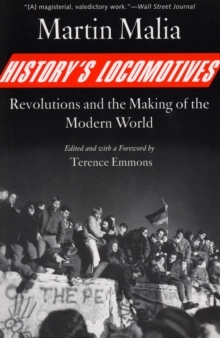 History's Locomotives is the masterwork of an esteemed historian in whom a fine sense of historical particularity never interfered with the ability to see the large picture. Martin Malia explores religious conflicts in fifteenth- and sixteenth-century Europe, the revolutions in England, American, and France, and the twentieth-century Russian explosions into revolution. 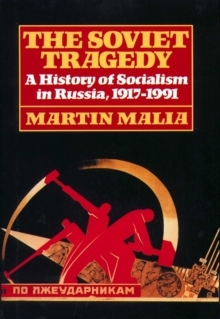 He concludes that twentieth-century revolutions have deep roots in European history and that revolutionary thought and action underwent a process of radicalization from one great revolution to the next. 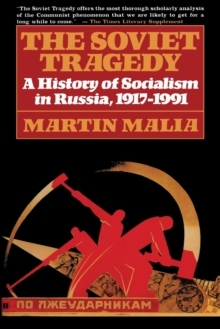 Malia offers an original view of the phenomenon of revolution and a fascinating assessment of its power as a driving force in history.